The world of civil aviation is one of the world’s most highly regulated and asset-intensive industries. Strict International safety regulation, rising passenger demand and high-value complex assets are just some of the pressures the industry must deal with on a daily basis. Squeezing profit from operations in this environment is vital, but difficult. With maintenance accounting for over 10% of costs associated with any flight, increased MRO efficiency can unlock healthy bottom-line benefits and reduce aircraft on ground (AOG) – which can cost an airline up to $150,000 an hour. This year will see three digital approaches break-through to do exactly that in the MRO Sector. There are currently not enough fully-qualified and certified maintenance personnel to meet the needs of the booming civil aviation industry. Boeing predicts the aviation industry will need over 600,000 new maintenance technicians globally in the next 20 years as current personnel retire, with much of this demand coming from high-growth regions such as Asia-Pac and the Middle East. Augmented reality is emerging to help bridge this gap – a cost- and time-effective solution that provides expertise on demand from any location, no matter how remote. Companies such as IFS partner XMReality have developed a telepresence and data transmission solution that connects onsite operators with a technical expert anywhere in the world in real-time. By using their handheld or wearable device, maintenance workers in remote locations feedback a live video to senior engineers, they then see a virtual pair of expert hands to guide them through complex tasks. I expect we will see a sharp increase in adoption to plug this resource shortage gap. The number of detectable faults on a Boeing 767 in the 1980s was 9,000. Now, intelligent sensors on a Boeing 787 can detect 45,000 faults, five times as many as 30 years ago! The civil aviation industry is at the forefront of IoT-enablement, with newer, more advanced aircraft than ever before, complete with Aircraft Health Monitoring Systems (AHMS). The collection and analysis of data from IoT-enabled sensors constantly measuring aircraft health and performance can take into account factors such as speed, torque, vibrations and pressure data to pinpoint faults before they become a major problem. By feeding the data into the EAM or MRO solution, the parts can be sourced and the work schedules of engineers optimized – meaning potential down-time can be drastically reduced. These in turn could reduce cancellations, improve operational and flight safety, reduce fuel consumption, help identify rogue serial numbers and enhance both passenger and crew experience. But airlines aren’t stopping there. Prescriptive maintenance is the next step which goes beyond just predicting the status of an asset. While predictive analytics answer the ‘what will happen, when and why’, prescriptive goes further. It allows operators to not only predict what will happen, but offer ‘what if’ scenarios to show how each possible event will impact operations. IoT data is fed back from the sensor into the analytical system to optimally define the prescribed maintenance activities based on the best outcome, in terms of reliability and asset uptime. Prescriptive analytics can guide maintenance engineers with sequences of tasks to isolate the issue, as well as present the most efficient way to reduce the failure rate and rectify the issue in the most optimum way. 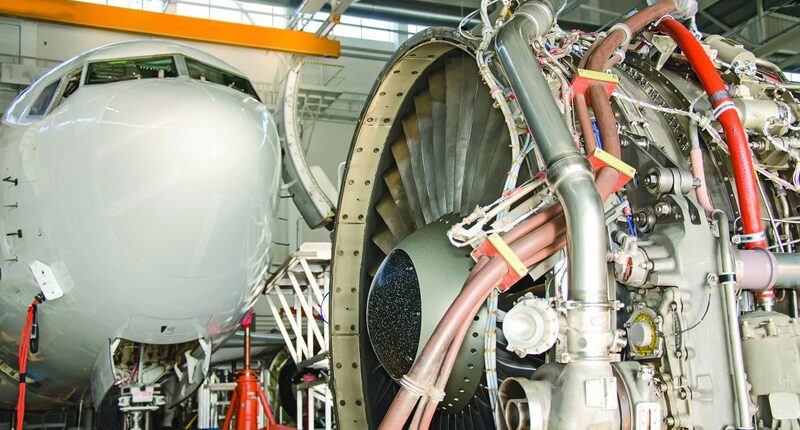 Prescriptive maintenance will revolutionize MRO. In the future, it will be your asset telling you how and when to repair an asset, explain to you what it needs and how it needs it. IDC predicts that 50% of all business analytics software will incorporate prescriptive capabilities by 2020, but I predict we will see this shift start in 2017.